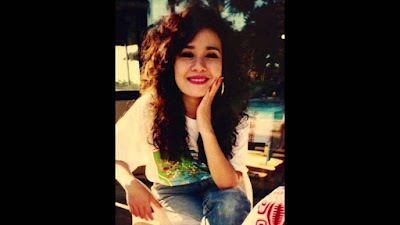 Diem Xua has been one music production label known for its high quality in production. When Diem Xua came out with a duet album combining its top male vocalist, Vu Khanh, with Ngoc Lan, this was no different. 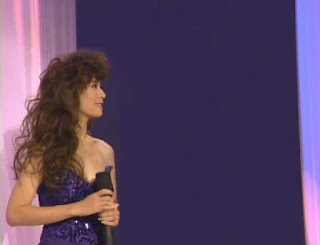 The album was entitled Nguoi Em Sau Mong and released in 1992. 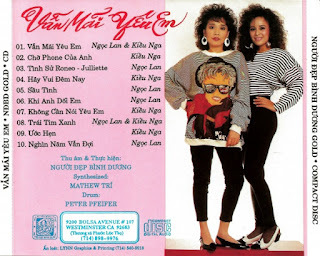 Of the twelve tracks, the album included four duet tracks that were very well done: Hoa Rung Ven Song, Con Quy Lay Chua both written by Pham Duy and Chieu Phi Truong and Bai Ca Hanh Ngo both written by Le Uyen Phuong. My favorite of the three was Hoa Rung Ven Song. Their voices blended beautifully with this song. 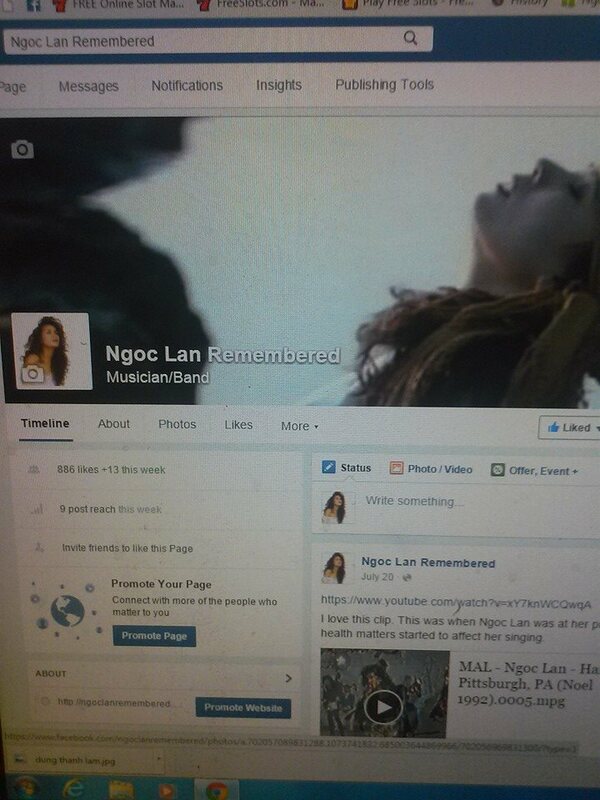 Of Ngoc Lan's solo tracks included a pair of songs written by Duc Huy, Xin Mot Ngay Mai Co Nhau and Mot Tinh Yeu. 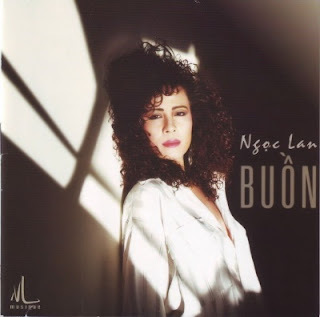 When it comes to songs written by Duc Huy, you just can't go wrong with Ngoc Lan as the vocalist. 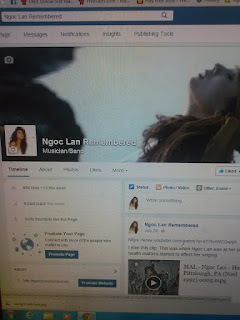 Ngoc Lan also did a fine job with her deliveries of Tuan Khanh's Noi Niem and Quoc Dung's Anh Da Thay Mua Xuan Chua, as well. 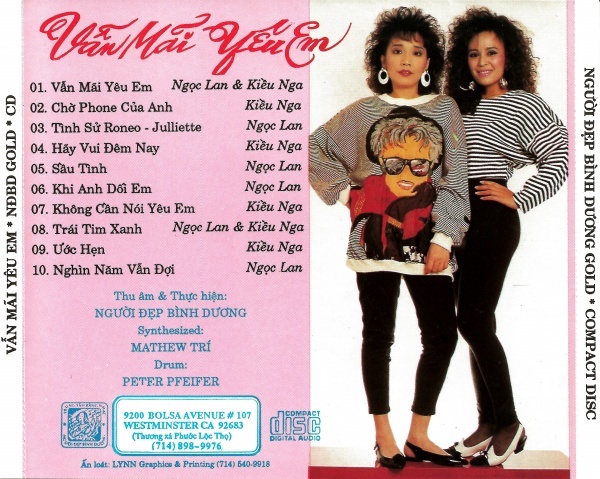 Out of Vu Khanh's solo tracks, my favorite on this album was Dan Trong Dem Vang (Johnny Guitar). 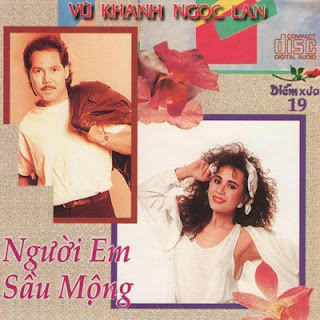 Although I prefer listening to duets between Ngoc Lan and Duy Quang, I must admit this was a very competent project that combined two very fine vocalists in a very pleasant style.